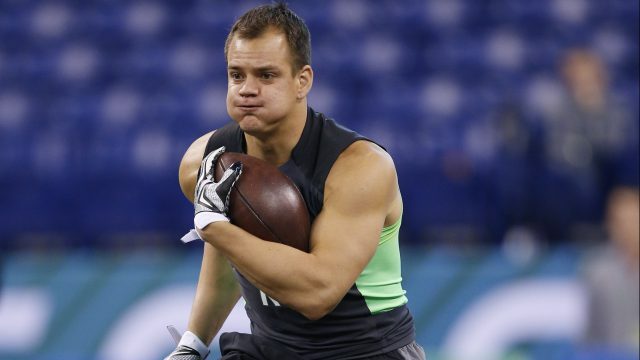 According to Mike Reiss the New England Patriots worked out 8 players yesterday including Glenn Gronkowski (Gronk-Lite), younger brother to Rob Gronkowski. The younger Gronk was cut last week by the Bills. Below is the full list players the Patriots brought in on Monday.